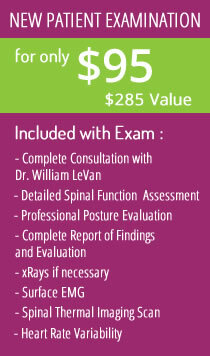 Welcome to LeVan Family Chiropractic. The first step to becoming a new patient in our office is to download our office forms and fill them out completely. Then simply call the office and tell Cathy that you already have the forms filled out and she will give you the first available appointment. Having the forms filled out in advance is very important and saves a lot of time, as you will see. Thank you for taking the time.